Pietermaritzburg is a small city located approximately 80 kilometres from Durban in KwaZulu Natal. 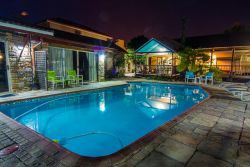 Accommodation in Pietermaritzburg is therefore convenient as well as pretty. The town is known as 'the last outpost of the British empire' and this is evidenced in the pretty architecture dotted around town. 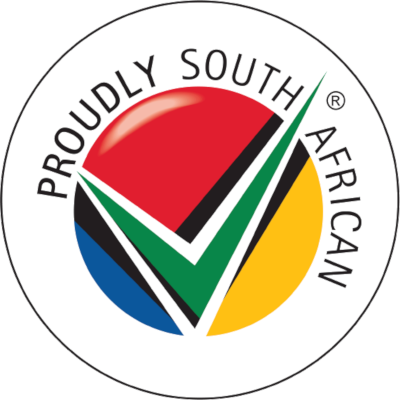 Maritzburg, as it's affectionately known, is regionally important as it produces aluminium, timber and dairy. It is also the home of the annual Dusi Canoe Marathon and every second year provides the start line for the Comrades Marathon. From a tourist's perspective, Pietermaritzburg is a great place to park off. It has a mild climate, with summer rainfall and cool, dry winters. It is the gateway to the Natal Midlands and as such is surrounded by forested hills and rolling countryside. Pietermaritzburg's main attraction is its position. Its proximity to Durban makes it a convenient while the midlands provide endless opportunities to lose yourself in holiday mode. The Midlands Meander, a dedicated tourist route, is the most notable attraction in the region. It was the first of its kind in South Africa and can still be touted as one of SA's best arts and crafts routes. Covering 80 kilometres in total, the Midlands Meander takes one through numerous quaint towns close to Pietermaritzburg and gives visitors the opportunity to pop into the studios and little shops of metalworkers, weavers, potters and many more. Furthermore, there is more than one highly acclaimed restaurant in the region! Activities in and around Pietermaritzburg include The African Bird of Prey Sanctuary - a conservation effort to rehabilitate and/or breed some of the area's rare raptor species, the Tatham Art Gallery, Butterflies for Africa - where guests can enter the enclosed 'garden' and view a boggling array of brightly-coloured butterflies and for Comrades runners, a visit to the 'Comrades House' museum not only serves as an example of a preserved architectural style, but provides an interesting history of the race. For the more adventurous, there is lots of hiking and mountain-biking to be had in the surrounding hills and canopy tours are offered at the Karkloof Indigenous Forest (the 2nd largest indigenous forest in South Africa). The Midmar Dam is a prime spot for water sports as well as fishing and picnicking. Accommodation in Pietermaritzburg is comfy, often quaint and as you can see, with so much to do you are unlikely to get bored easily! A quick look at our website will give you the information you need to make your choice. You will find reviews and you will also be able to compare prices and find wonderfully affordable accommodation in Pietermaritzburg. Are you planning the perfect getaway but have not yet found your ideal Pietermaritzburg accommodation? By using our easy website, you can find great accommodation of all types, whether it is a cosy bed and breakfast or a comfortable lodge. We have thousands of easy to find listings for self-catering facilities, holiday homes, guest houses and hotels as well as backpackers, chalets, caravan facilities, villas and apartments, giving you a wide variety of options when it comes to your accommodation in Pietermaritzburg. To help you find the right place to stay, we have a number of tools that you can use, including a map. This will help you to pin point exactly where you will be staying and it will show you the accommodation facilities that are closest to where you will be. Regardless of the reason for your visit to Pietermaritzburg, we can guarantee that you will find the type of accommodation you are looking for. But reviews for Pietermaritzburg accommodation is not the only information you will find. Want to know if your Pietermaritzburg accommodation is pet-friendly or allows smoking? All of that information is included on the listings page. You will also be able to find which activities are on offer and the sort of amenities included with each room. All of this information will help you to make an informed decision before you make any payments to, giving you more peace of mind about your choice. 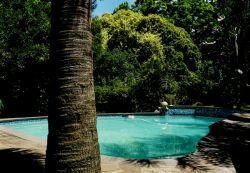 We include all of the contact details of the self-catering accommodation, holiday homes, guest houses and hotels as well as backpackers, chalets, caravan facilities, villas and apartments in Pietermaritzburg which are featured on this website, so you also have the option of getting directly in touch with the place. 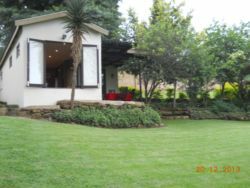 Regardless of where you are staying, we feature Pietermaritzburg accommodation in that area of the province. 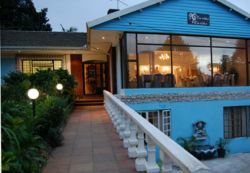 You have options of Pietermaritzburg guest houses, lodges and bed and breakfasts, among others, ranging from your more affordable, lower prices to your more luxurious options. So, you are not visiting for a holiday but rather for business and all you need is a place to stay for a night or two? The bed and breakfast options, as well as the lodges, are generally preferred by business people and you will find all types, from your more luxurious lodges to your simple, self-catering bed and breakfast. Each will give you a safe roof over your head while you are in the province. 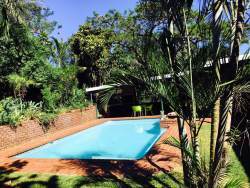 Pietermaritzburg accommodation is not only affordable but well situated. If you are doing business in this area, this is a great accommodation choice. Spending more than a few days in the province? Perhaps you are indulging in a tour of the region and you are looking for a few places to stay? Browsing through our listed self-catering accommodation, holiday homes, guest houses and hotels as well as backpackers, chalets, caravan facilities, villas and apartments in Pietermaritzburg will give you all of the information you need to make your selection. And once you have found the ideal place to stay, you can either request a quote or make your booking directly on this website. Sleeping-OUT.co.za is designed to make finding and booking accommodation in Pietermaritzburg easier than your traditional methods of sourcing a place to stay! 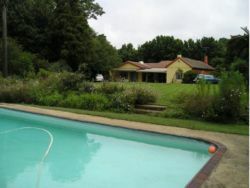 We include some great accommodation special deals in and around Pietermaritzburg. 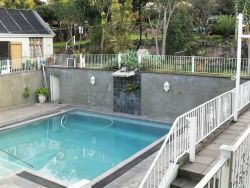 147 reviews of Pietermaritzburg Accommodation. 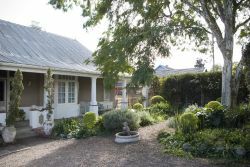 Scottsville is one of the oldest suburbs in Pietermaritzburg. All one requires with respect to eateries and Shopping Malls can be found within close proximity.